Gestational diabetes mellitus is a carbohydrate intolerance recognized in pregnancy. 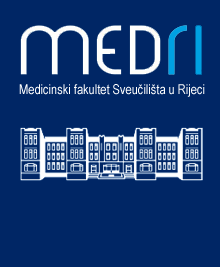 The objective of this study was to determine the prevalence of gestational diabetes mellitus (GDM) of all deliveries at the University Hospital Rijeka, Croatia (34 997 deliveries over 10-year period) using 2-hour 75 g oral glucose tolerant test and to evaluate the impact of GDM on neonatal outcomes and mother’s health. Gestational diabetes was diagnosed in 55 of 128 pregnant women with suspected glucose intolerance. Logistic regression analysis was used to examine the relationship between fasting plasma glucose, age, family history, body mass index, maternal weight gain, neonatal weight, neonatal head diameter and Apgar score in the gestational diabetes group and in the non-diabetes group. The results indicate that fasting plasma glucose greater than 7.0 mmol/L and maternal overweight are strong predictors for GDM and macrosomia. There was no difference in the mode of delivery, and vitality and metabolic complications among the infants of all analyzed mothers.We concluded that to prevent GDM as well as to reduce the rate of macrosomic infants good glycemic control should be initiated as soon as possible. The 2-hour 75 g OGTT is worth enough to evaluate GDM. Women should be counseled and encouraged to lose weight before or at the beginning of the conception period.